Could you imagine spending a night in a cemetery? What if we told you that there’s a village that lives on top of one? 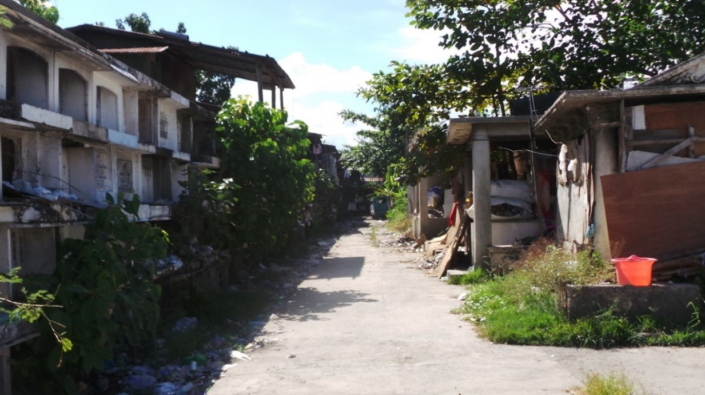 Marlene Millegas, a second-year resident of this village, says the resting are the least of their worries. “At first, I was scared. 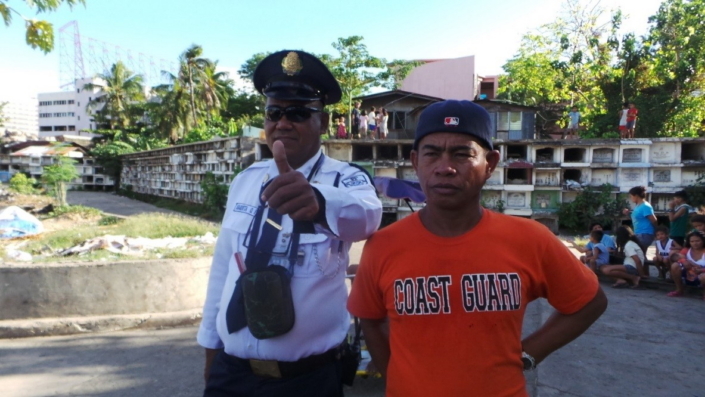 But later on, I realized that there are many other difficulties to worry about – especially when living here,” she said. Continue to read the full story below (854 words), or jump to the summary (156 words) here. At first glance, Ludo looks and sounds like any other village. Dozens of people are gathered around the entrance going about their business. 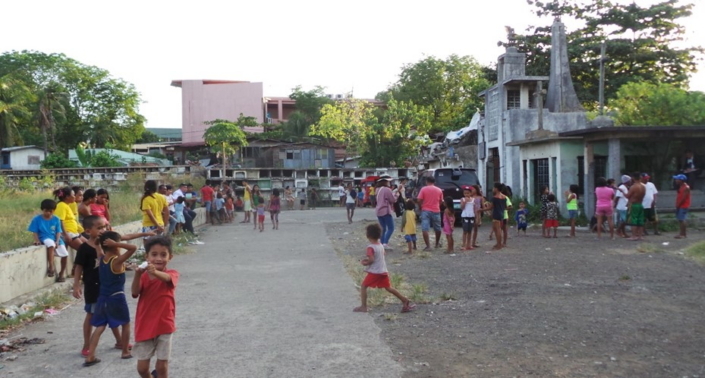 You could hear laughter and shouting of children playing games. However, upon closer inspection, there is no doubt about what this place originally is – a cemetery. 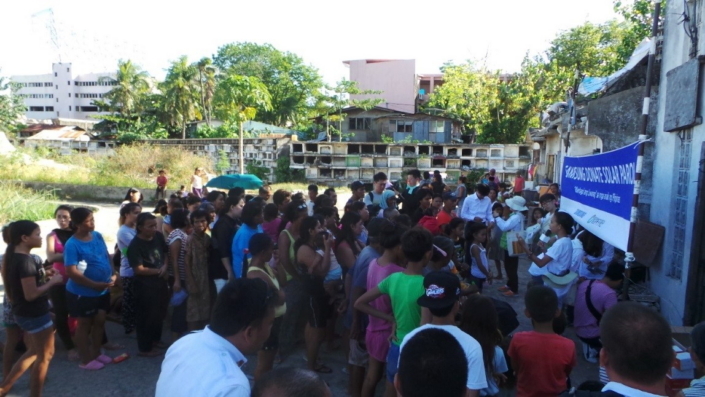 So how did a community of around a hundred families come to live where the dead lie? The village manager, Mr. Tata, isn’t sure when people started to live in Ludo, but he says, “Many of them were living in the street before they settled here.” For many of the people in Ludo, the fact that Ludo is a cemetery doesn’t matter much as long as it provides much-needed shelter from the cold nights and rainfall. 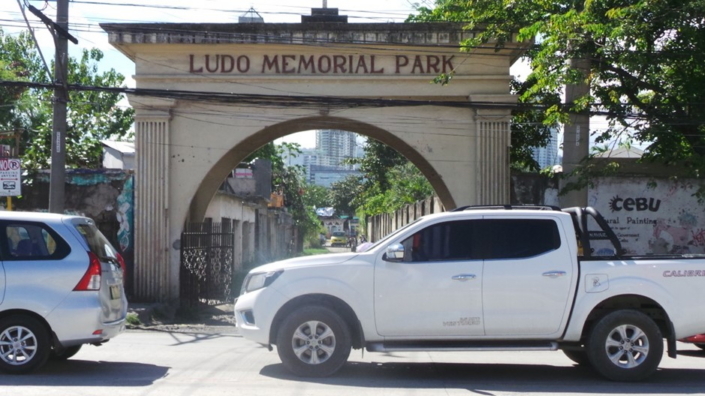 Ludo Memorial Park holds many Chinese-style mausoleums, built like houses, in addition to the stacked graves Cebuanos are used to. These monuments were built to serve as resting places for the deceased, but in the course of time, people found that these structures could house the living as well. 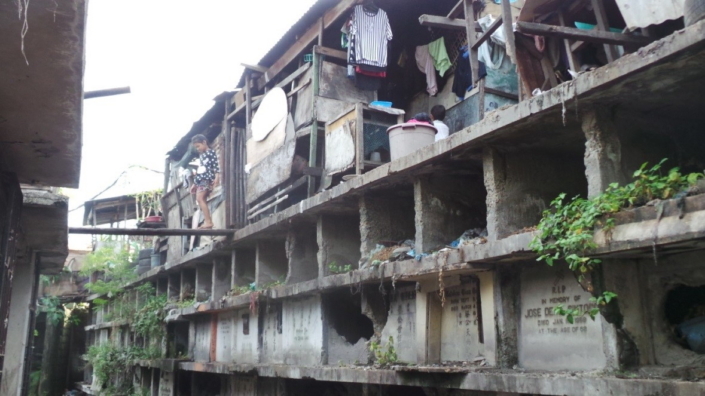 Some families conveniently chose to move into the house-like mausoleums. Others monuments are mainly headstones but now have makeshift shacks built over it. The villagers laid boards on top of the tombs to make floors and brought in furniture and appliances to make life suitable. These configurations have become the homes for the people in Ludo. 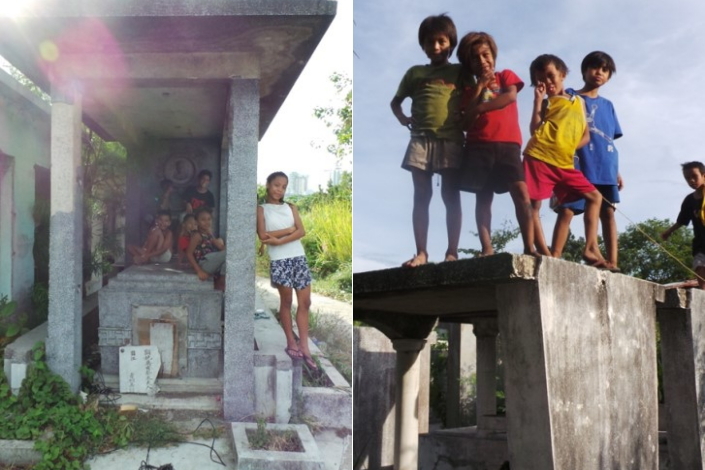 They eat, study, and sleep on top of the tombs. The good news is that it’s free; the bad news is that there are none-to-very-little basic services such as clean water, sanitation, or electricity. The absence of basic elements for living is what concerns the people in the village the most. In particular, the lack of electricity causes the village to turn back into a lifeless cemetery at night. 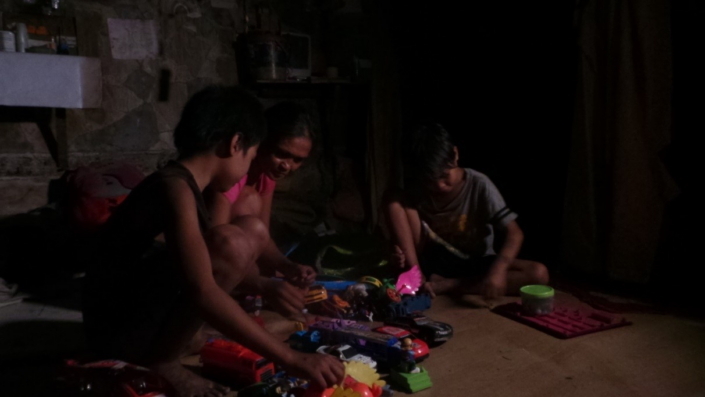 People return to their homes as soon as the sun sets because not only does the lack of light make walking around outside dangerous but also because there just isn’t much to do in the dark. On April 19th, Samsung Electronics and Miral Welfare Foundation held a joint event to present solar-powered lanterns to the villagers in Ludo. This event was part of a company-wide campaign called #ShareTheLight and employees contributed by not only donating the funds for the kits but also assembling the solar-powered lanterns. While the hundreds of lanterns Samsung Electronics supplied may not change everything overnight, it will provide the villagers more time to accomplish things, such as studying at night. The lanterns will also help provide the small things that sometimes many of us take for granted, such as families having conversations over dinner. #ShareTheLight aims to raise awareness on climate change and energy inequality by providing lights of hope for regions that have electricity shortages. Beginning in 2017, Samsung Electronics took part in the WWF Earth Hour campaign, turning off lights at its offices around the world. 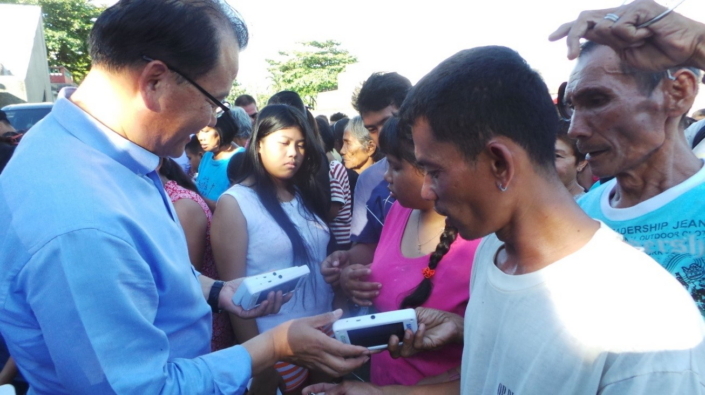 Samsung Electronics took a step further to “share the light” with people in Tiom, Indonesia, who didn’t have sufficient access to electricity. 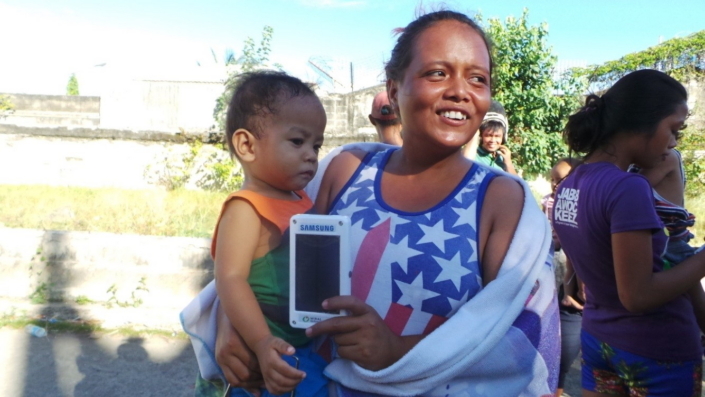 This year, in the second year of the campaign, Samsung Electronics sent 1,000 solar-powered LED lanterns, assembled by employee volunteers, to rural villages in Ludo and Mactan, Philippines, as well as Phitsanulok, Thailand. 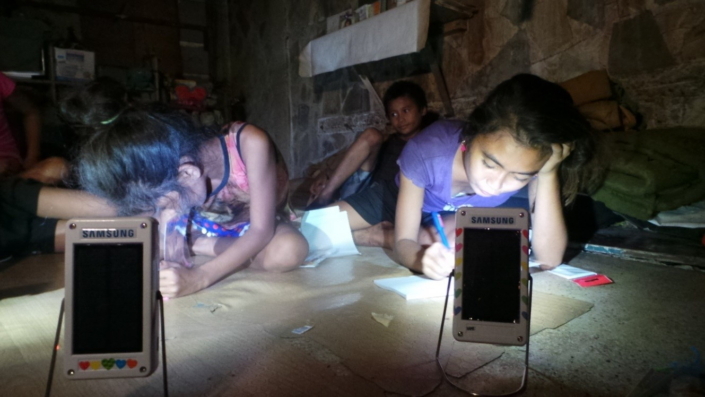 In the spirit of continuity, Samsung Electronics Indonesia has also decided to donate an additional 1,500 solar-powered LED lanterns to the Kaubun village in Kalimanten, Indonesia, and the Larantuka village in Flores Island, Indonesia. These efforts will be in collaboration with the Indonesian Red Cross Society and Du Anyam, a social enterprise that focuses on empowering women in rural Indonesia.